organized by the Modelica Association and arsenal research. It will bring together Modelica users, library developers, tool vendors, and language designers. 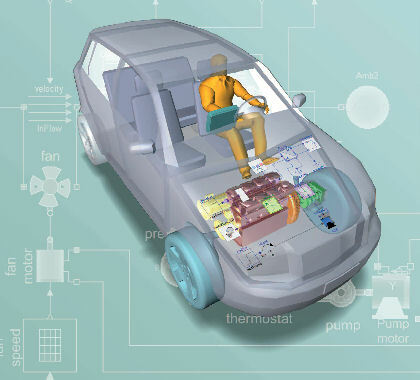 The program will cover modeling of complex physical systems with Modelica in a wide range of research and industrial applications, peer-reviewed and selected by the Program Committee. In addition to traditional paper presentations and poster sessions you have the choice of four Modelica tutorials for the beginner and the advanced. We are looking forward to see you in Vienna and to share a successful and enjoyable conference with you. For further information browse through the following pages or contact us at modelica2006@modelica.org. The conference pages will keep on developing during the last months before the event. That means if you plan to attend it might be useful to check the pages from time to time. Recent changes and additional information will then be announced here. There will be a Modelica design meeting after the conference (September 6th - 8th, 2006). Please, contact the chairman of the Modelica Association, Martin.Otter@dlr.de, if you wish to participate.